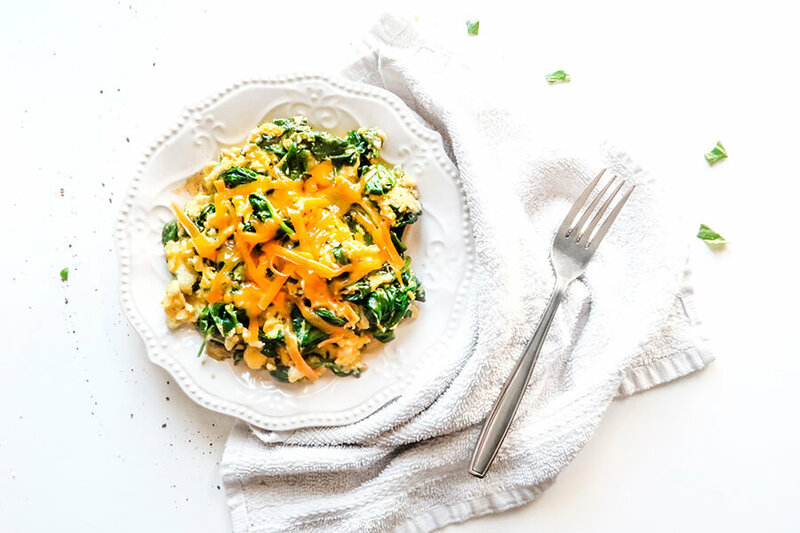 This is a breakfast staple for me, where it’s my go-to a lot of the time. 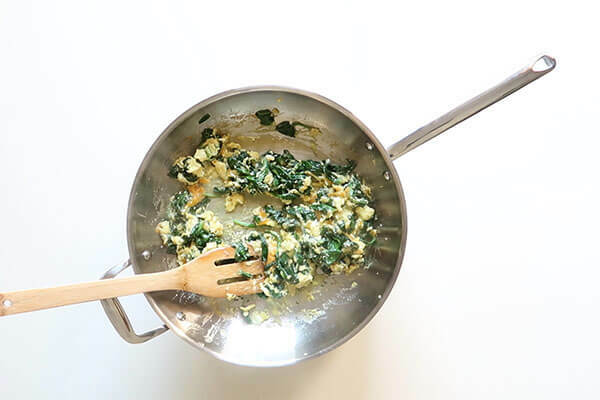 It’s fast (only takes about 10 minutes), tastes great, and it’s packed full of nutrients. These eggs will usually fill me up until around 1pm, and sometimes even longer. They’re a great source of energy in the morning and keep you full for a good chunk of the day. If you’re the type that has problems with hunger around 11, try these! The fats in the cheese and cream will be sure to help your stomach stay quiet until lunch time. 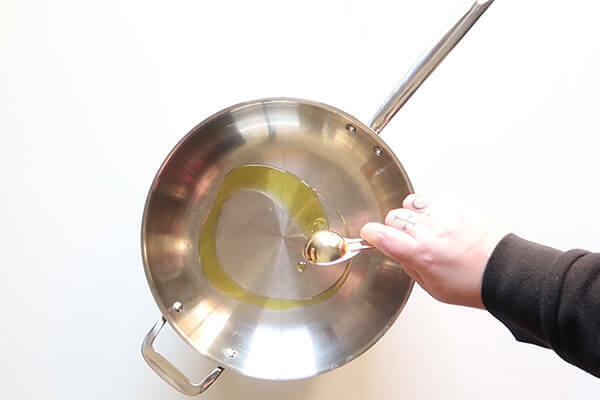 If needed, you can sub out the olive oil for coconut oil if you’re wanting MCT oil. 1. 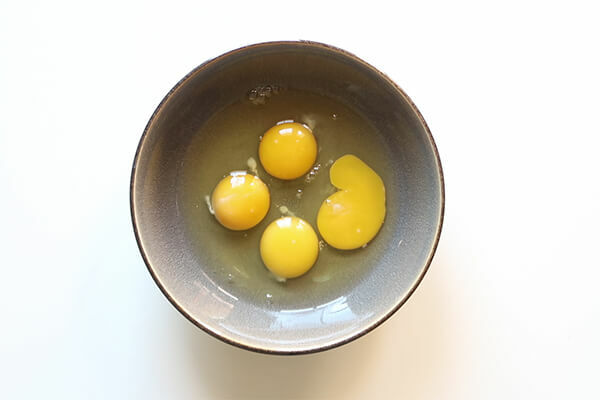 Crack your 4 eggs into a bowl or container. 2. Add 1 Tbsp. heavy cream to the mixture with some salt and pepper to taste. 3. Mix them up so that there is still some egg white showing in the mixture. 4. Get a large pan and turn to high heat. Add 1 Tbsp. Olive Oil. 5. 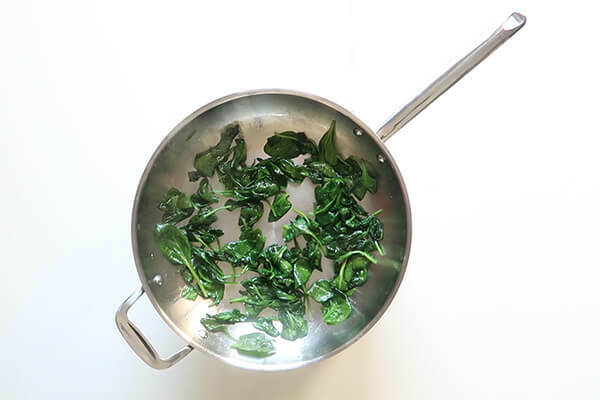 Let the olive oil get to smoking point, and add your spinach. 6. As it’s sizzling away, add some salt and pepper. Make sure you are stirring it frequently as it can burn if you are not careful. Once it has reduced down, turn your heat to medium low. 7. 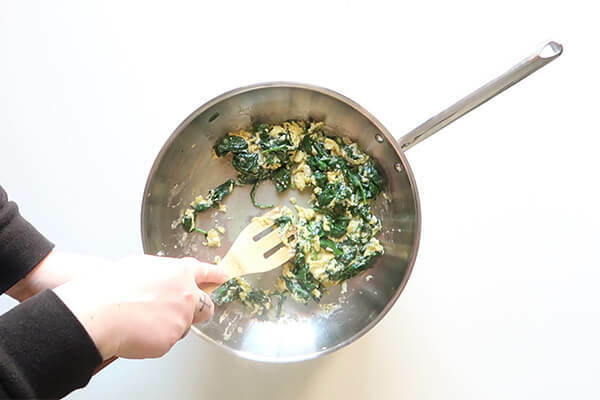 Add your egg mixture to the spinach. 8. Slowly stir the eggs when the bottom sets. 9. 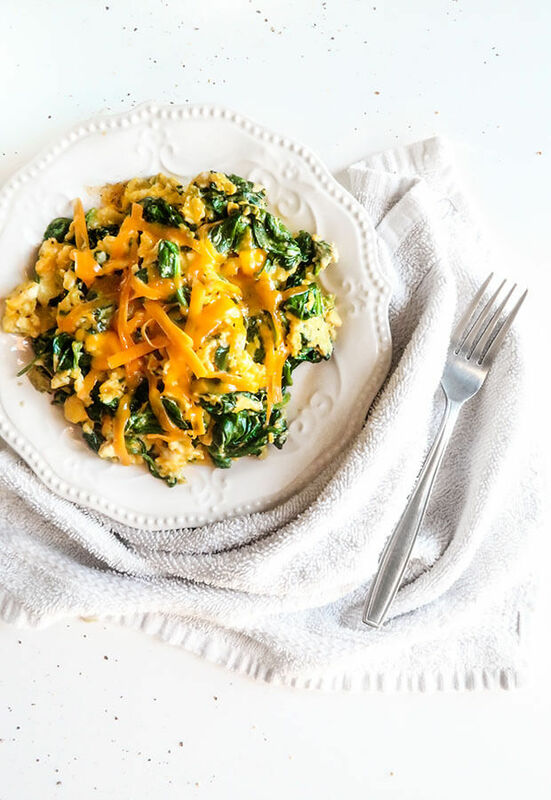 Add your 1/2 Cup of cheddar cheese and stir that deliciousness in. 10. Once the cheese is starting to melt, get it on a plate. It might look like the eggs are a little undercooked, but as they are resting, the eggs will cook through. If you need to up the fat content, you can add some ranch to these – it’s fantastic. One serving: 713 calories, 57.23g fat, 5.55g net carb, and 41.95g protein. 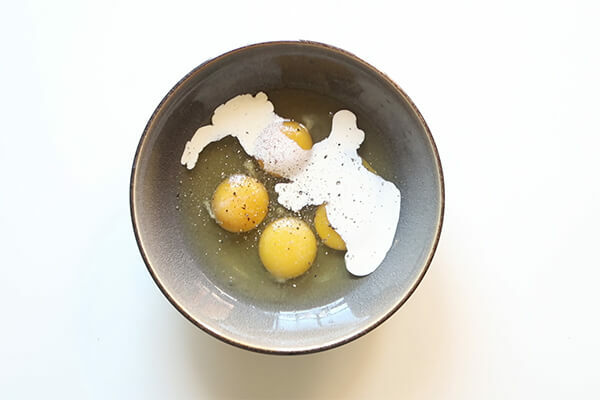 Add your 4 eggs to a cup or bowl. Add 1 tbsp heavy cream and salt and pepper to taste. Mix so there are still egg whites showing. Add your spinach once the oil has reached its smoke point. 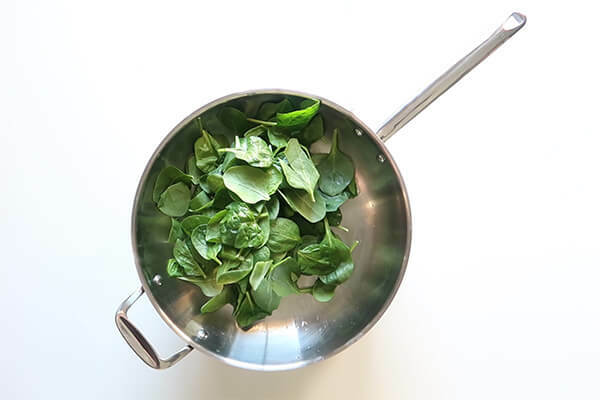 Add salt and pepper as the spinach begins to sizzle, stirring frequently. 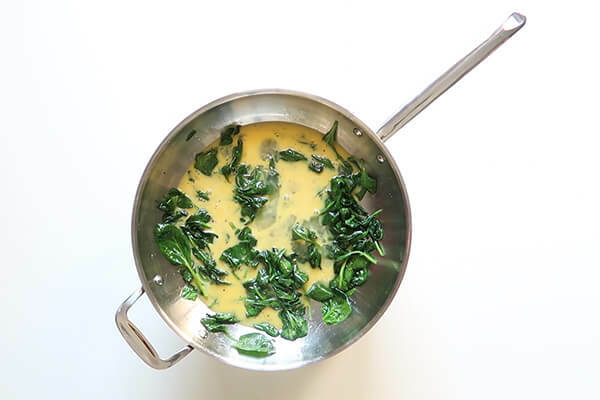 Once the spinach has fully wilted, reduce heat to medium low and add eggs. 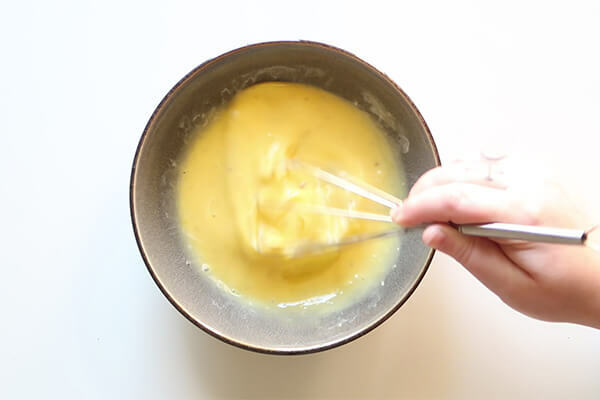 Stir slowly once the eggs have set and add your cheese. Once melted, plate and enjoy!